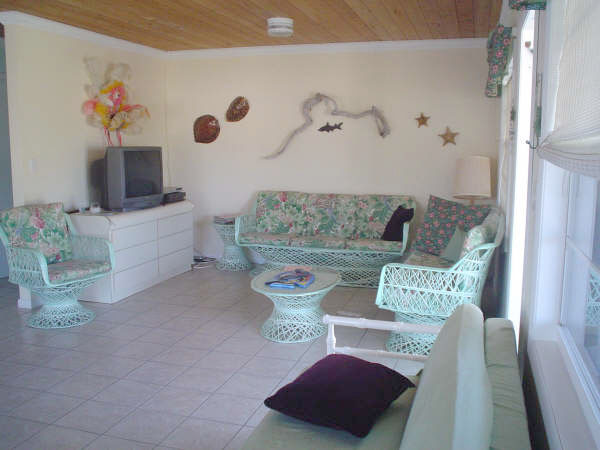 Harbourview Guest House is perfect for up to six people*. 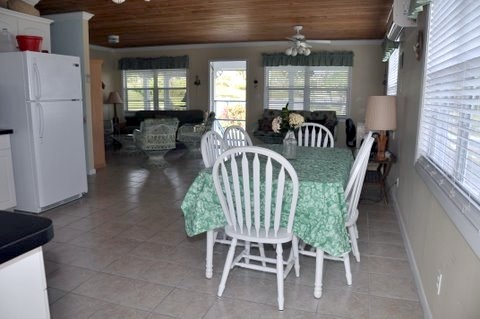 An island getaway located in Black Sound Harbour, this island cottage gives you all the comforts of home. 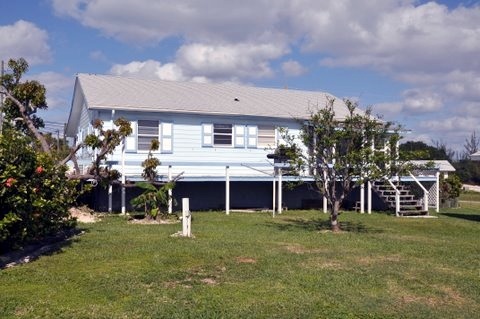 This two bedroom, two bath cottage is completely air conditioned and can accommodate six people. 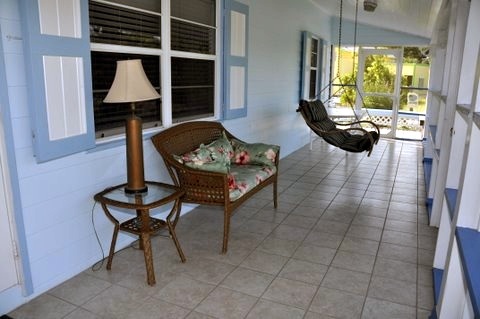 From Harbourview's 40' screened-in porch with a swing, you can enjoy the lush native landscaping of three flower gardens and golden coconut trees at your door. 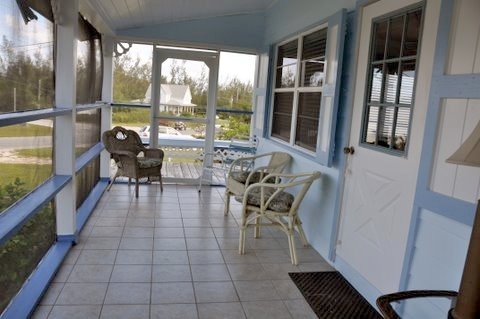 A deck surrounds the house giving you views of the Sound and the Sea of Abaco. 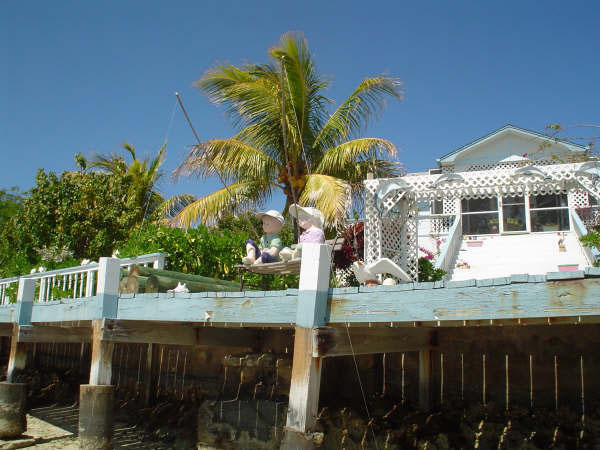 It has a private dock for the guest who rents a boat or has their own and a fish table for cleaning your catch of the day. 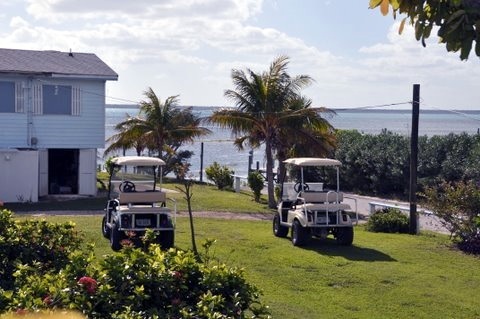 An added extra - a golf cart is included - PLUS high-speed internet service. 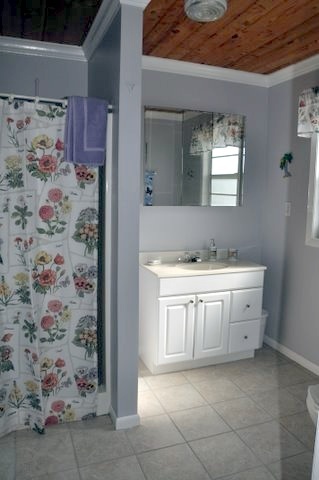 Separate from the main house is a laundry room with an automatic washer and dryer. The open kitchen/living room lets you know you're in the tropics. 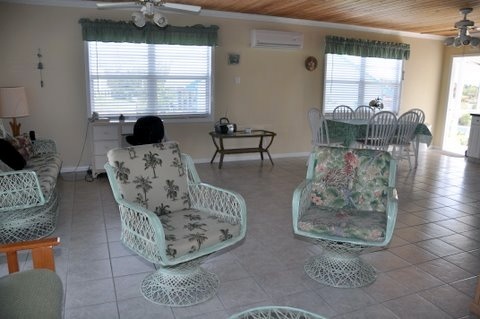 Having Caribbean ceiling fans, you always have a breeze. 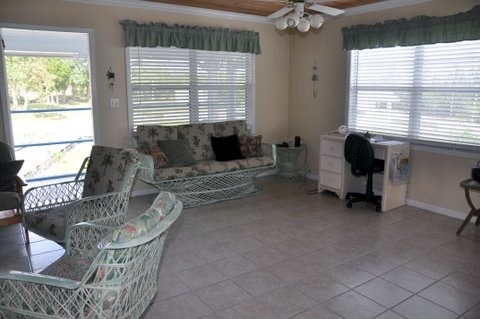 It's the perfect place to enjoy a book, play cards, a board game, watch some island cable or do nothing but relax. 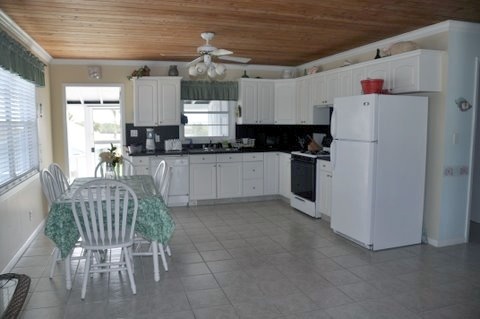 Enjoy cooking your gourmet meal in this fully equipped kitchen with a dishwasher. This kitchen is perfect for trying your hand cooking some of our native dishes with fresh herbs or barbecuing with the gas grill on the deck. 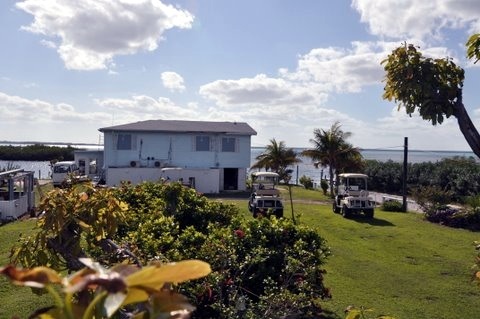 If you want to "get away from it all" when you visit Green Turtle Cay, Harbourview Guest House is your place! 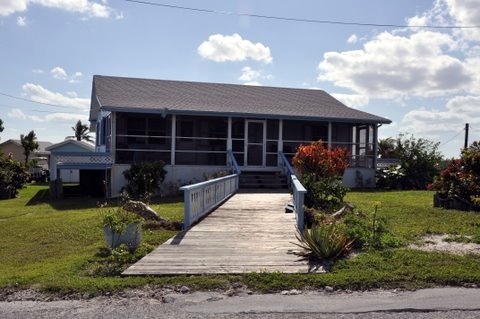 *If more than 6 adults are staying in the home, the rental rate increases by an additional $100 per person per night. 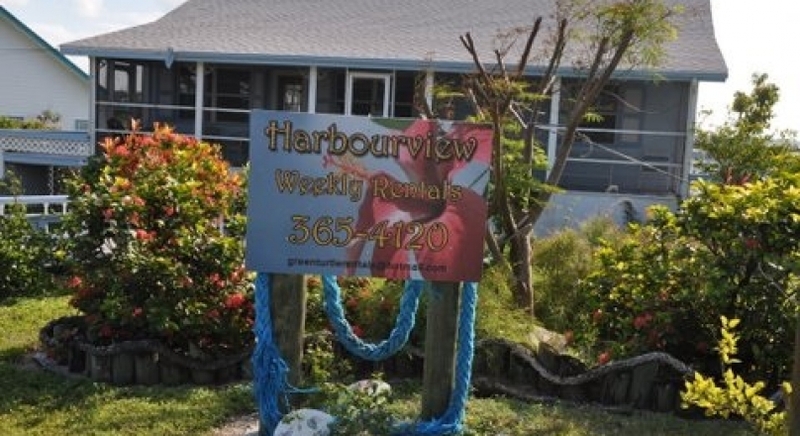 Harbourview is clean and well maintained. 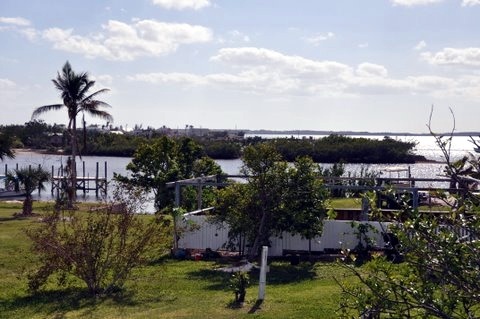 The private dock and generator are a big plus for this property when compared to similar properties.